Who doesn’t love dancing? Dancing is an excellent way to express the joy you feel. It is a great way to showcase your talent and your slick moves. Dancing is also a great way to exercise your body and stay healthy. Yes indeed, Dancing can be a good way for you to keep fit. It is great for people of all ages, shapes, and sizes. Additionally, dancing has a wide range of physical and mental benefits. There are so many popular dance moves around especially in Nigeria, where dancing is a culture. Well, today you will be finding out the top 5 Nigerian dances and how you can use them to exercise. This list will include the most popular and trending dances steps in Nigeria. Please focus on how this dance steps can be useful to you healthwise. But before we go into that let’s quickly find out the health benefits of dancing. > Increases your strength, endurance levels, and motor fitness. > Enhances your muscle tone. > Helps you manage stress. > Gives you stronger bones and reduces the risk of osteoporosis. > Improves your coordination, agility, and flexibility. > Burns a lot of calories and can help you lose weight. Below are some of the top Nigerian dances you can use to exercise. This list is in no particular order. Gbe body eh! Gbe soul eh! Zanku, also known as legwork is the hottest Nigerian dance right now. It is hugely popularized by Yoruba rapper Zlatan Ibile in a song of the same name. The song gained popularity, and the dance became widespread among Nigerians. The dance is not easy to learn, but it becomes fun when you do learn it. If you are wondering how to dance zanku (legwork), then you can check the numerous online videos. The dance involves bouncing the legs one after the one while tapping the sides of feet on the ground. It also involves the movement of the arms, body and there is a quick step where you even thrust your leg forward while bending your body backward. In truth, the dance is lovely and challenges your body. There is a lot of movement of the legs, during this dance. This helps it strengthen your thigh muscles, bones, and joints. Zanku dance is also very energetic that you can burn up to 120 calories in 30 minutes. Shaku Shaku dance is one of the popular dance step trending in the Nigerian music industry. It has been around for quite a while now, and people can just get over it. 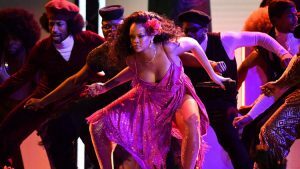 This dance began to trend early in 2018 and was popularized by Nigerian Street Hop sound. It was propagated by artists like Olamide, Mr. Real, Slimcase, and Obadice. Shaku Shaku dance is performed by crossing over your arms in front of each other and widening your legs. Then slowly launching into a graceful half-gallop, while pushing each leg slightly forward. There are so many other dance moves involved in this dance too. 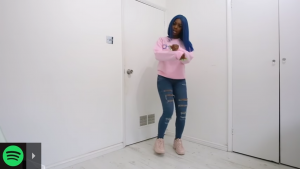 Shaku Shaku is a top Nigerian dance you can use to exercise because it is fun to do. It involves using almost all the parts of your body. Exercising with this dance will get your body to sweat out toxic waste. It also can boost your mental well-being, by making you happier. 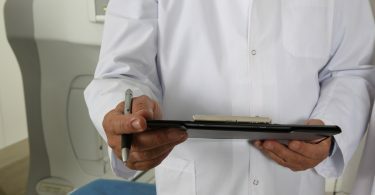 READ What are Fitness Supplements- Are they bad for you? Oya everybody Shoki! 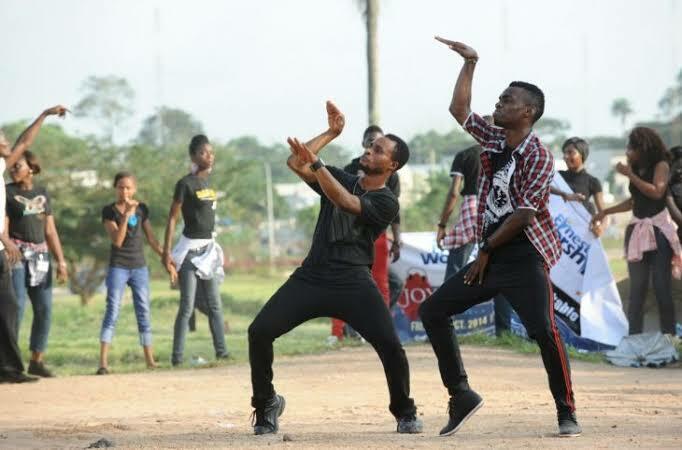 Shoki is probably the coolest Nigerian dance trend of the last ten years. 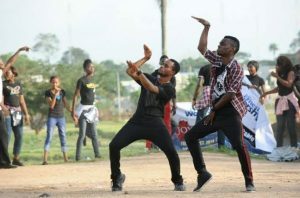 The dance became widespread after Lil Kesh gave the dance a massive push with the release of his hit single “Shoki” featuring industry giants, Olamide and Davido. The dance involves the movement of the arms and legs, but mostly the arms. Shoki is a great dance because it is easy to learn and can be done by even aged people. If you are advanced in age, and you are looking for a good dance to help you stay in shape, then shoki would be great for you. Etighi is actually a traditional dance in Nigeria. The dance is from the Calabar and Akwa Ibom states of Nigeria’s South-South region. Etighi dance garnered popularity when, musician Iyanya, who hails from Akwa Ibom, used it in the video of his massive hit song “Kukere”. Etighi is a simple dance routine that involves the use of the legs waist and thighs. It is another simple dance anyone can perform. Another health benefit of exercising through dancing is that, it boosts your immune system. Although the gwara gwara dance isn’t actually a Nigerian dance, it is trending and popular among Nigerians. Gwara gwara is a dance that originated in South Africa. 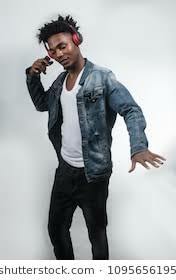 The dance was popularized by South African dancer and recording artist, DJ Bongz, with the introduction of his hit single “Ofana Nawe.” It was also made popular by Babes Wodumo in her hit Wololo. The dance became so popular that it was performed by Rihanna at the Grammy’s in January 2018. Many Nigerian artists and dancers have followed suit, using it in there videos and thereby making it widespread. Gwara gwara is a difficult dance to master, but learning it pays off. You can use this dance to keep fit, stay healthy and boost your mental health. The use of the legs and arms at the same time helps to improve your motor condition, reflex, and flexibility. I hope you enjoyed reading this article. Exercising is a lovely habit because it helps you stay healthy. And dancing is a great way to exercise because it makes exercising fun to do. So when next you want to exercise, turn up your stereo and move your body according to your favorite dance step.